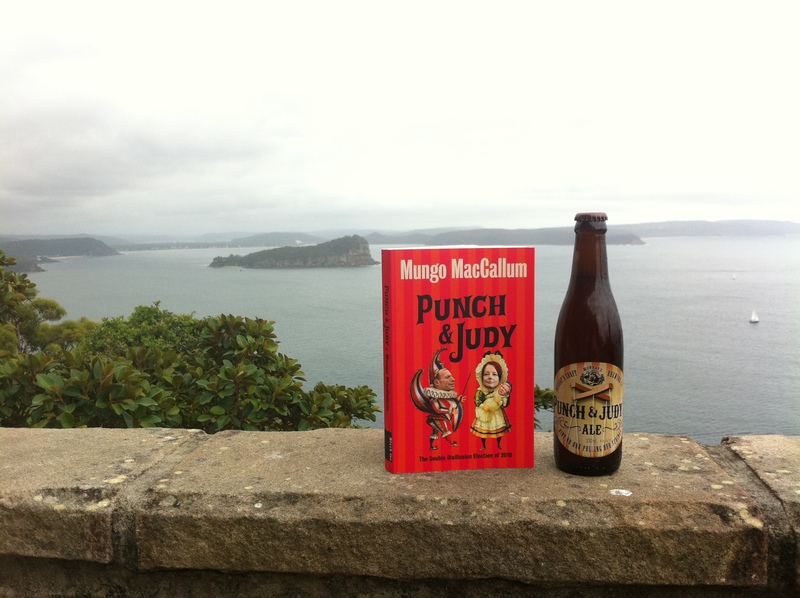 BotF recently purchased the third of Mungo MacCallum’s Federal election reviews. He has previously released “Run, Johnny, Run” (2004 election), “Poll Dancing” (2007 election) and now “Punch & Judy – The Double Disillusion Election of 2010”. I have it on good authority he wanted to call “Run, Johnny, Run”, “The Unflushable Turd”, but the publisher refused. 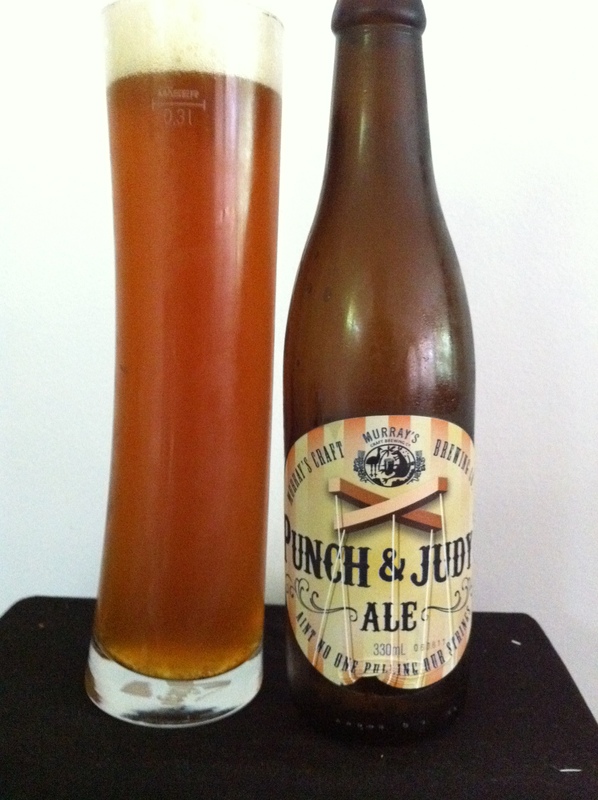 Punch & Judy’s Ale is a terrific beer in a Bitter style. As said, it was released in Easter and commentary from Murray himself at the time said he wanted to show you could make a beer with taste without a high alcohol content (presumably like his Icon 2IPA). Well, he’s done it. Pours a rich amber colour and keeps its head for some time. Plenty of hop flavour in this beer and I’d love to try this on tap. Murray’s released 22 beers since he started 4 maybe 5 years ago, and I’ve yet to have a dud. It’s worth subscribing to his blog as well. Much of it is about what is going on at his brewery, but there’s often a good spray at the mainstream brewery industry. 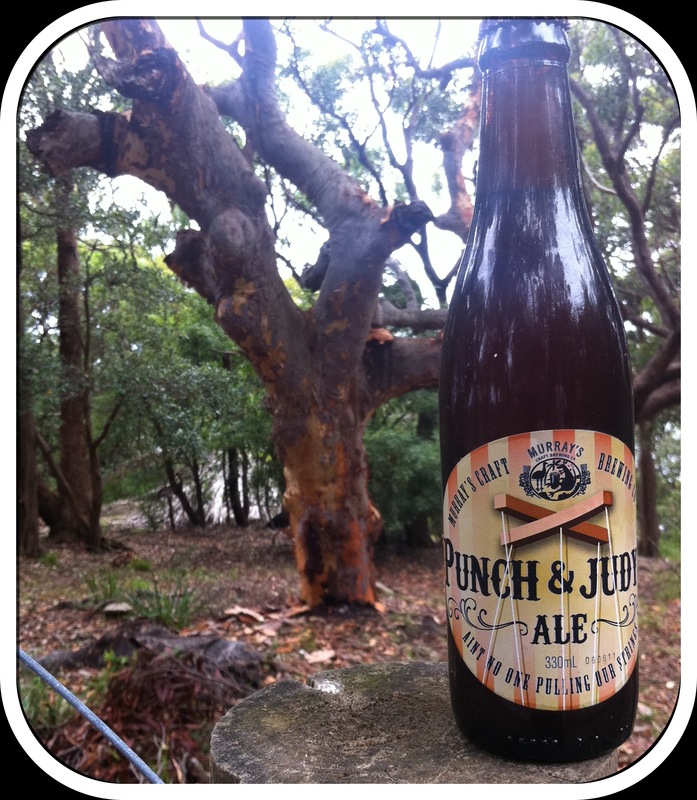 That’s why the label for Punch & Judy’s Ale says “Ain’t no one pulling our strings”. Murray marches to the beat of his own drum (gladly).